How did Nabokov read Jane Austin? Janine Barchas has a fascinating post at the JHU Press Blog about how Vladimir Nabokov both read and taught Jane Austin to his students. 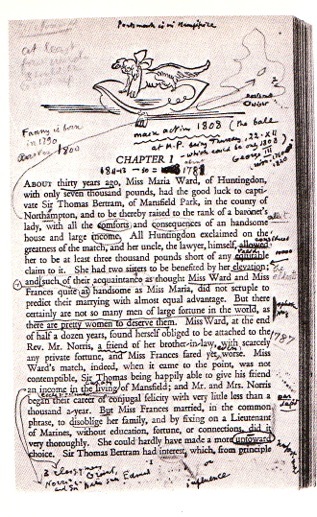 Barchas closely read Nabokov’s lectures and examined his “battered and marked-up teaching copy” of Austin’s Mansfield Park. Nabokov’s notations demonstrated that Nabokov not only closely read Austin’s book, but demonstrate that sought to completely understand the world that Austin had created. We all should take Barchas’s advice and read more like Nabokov. Great writers are great readers. And nothing dials up the magnification on a book like the green-eyed gaze of a fellow author. In 2014, many Jane Austen fans have been rereading what is arguably her darkest and most difficult novel in celebration of Mansfield Park’s bicentenary. One unique copy of that novel, formerly owned by Russian-born American novelist Vladimir Nabokov (1899–1977), enables the rereading of one great novelist over the shoulder of another. The University of Washington Press Blog has posted an article on their new book, Mary Randlett Potraits. 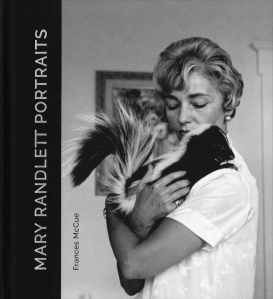 The book is a collection of Mary Randlett’s photos and biographical essays written by Frances McCue. 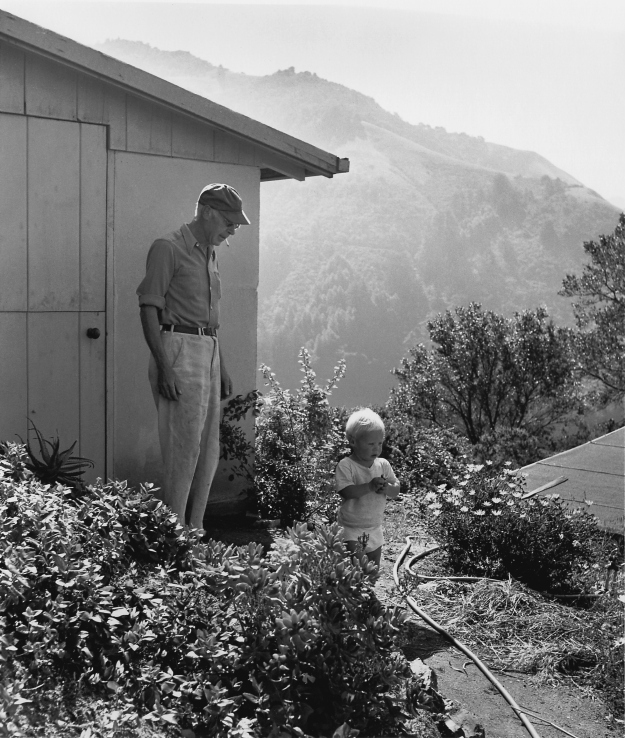 The article includes a number of photos of West Coast writers and artists including Henry Miller, Morris Graves, Imogen Cunningham and others. Randlett’s black and white portraits are absolutely stunning. Mary Randlett Portraits—the first collection of Mary Randlett’s photographs of people—presents visual artists, writers, and arts advocates from 1949 to 2014. Her portraits are known for their effortless intimacy, illuminating her subjects as few ever saw them—something noted by many of those whom she photographed. The portraits are accompanied by biographical sketches written by Frances McCue. Her short essays blend life stories and reflections on the photographs with Randlett’s own reminiscences. McCue also provides an essay that is the first to frame the scope of Randlett’s life and professional career. Mary Randlett, who will be 91 in May, 2015, is still photographing landscapes. Her last portrait photograph was of the author of this book, Frances McCue. The photographs and vignettes below are extracted from Mary Randlett Portraits. Here is an interview with Lee Wilson about her new book Rebel on Pointe. Wilson’s book is a memoir that delves the world of dance luminaries such as George Balanchine, Rudolf Nureyev and Rosella Hightower. 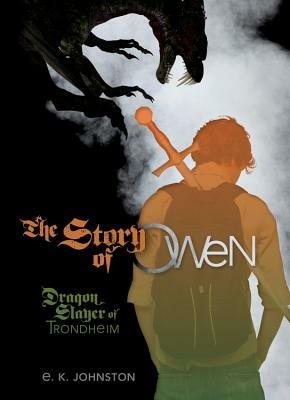 Check out The Florida Bookshelf’s interview with Lee Wilson. Lincoln Bramwell has a new book coming from University of Washington Press on wilderburbs. Wilderburbs are housing developments nestled up to “the edges of forests, deserts or mountain slopes of the American West.” When folks accustomed to suburban life move to a wilderburb they are often several new threats: wildfire, water scarcity and wild animals. Bramwell talks about Wilderburbs in an interview posted on the University of Washington Press Blog. Wilderburbs: Communities on Nature’s Edge is the environmental history of a housing phenomenon that places human developments in close proximity to wild places: on the edges of forests, deserts, and mountain slopes of the American West. Author Lincoln Bramwell, chief historian for the USDA Forest Service, spoke with us recently about what drove his interest in this topic and some of the major challenges that can accompany life in wilderburbs. Q: Are wilderburbs and the sort of human/nature encounters they introduce a new phenomenon? Dunbar High School in Fort Myers has produced an extraordinary number of outstanding football players. David A. Dorsey has written a new book, Fourth Down in Dunbar, that examines that why an area plague with drug abuse and violence has also started the career of numerous NFL players. Deion Sanders, Jevon Kearse, Earnest Graham, Sammy Watkins and other NFL stars from Fort Myers, Florida are featured in Fourth Down in Dunbar, which we are pleased to be publishing today. Sports Illustrated senior writer Peter King says, “Rarely have we gotten such a vivid look into the reality of how big-time players avoided becoming statistics.” Fourth Down in Dunbar tells how the Dunbar neighborhoods of Fort Myers—plagued by drugs and violence and where many children are fatherless—gave rise to an incredible number of talented NFL players. Nearly two dozen athletes from Dunbar have achieved massive success. Sammy Watkins being picked fourth in the 2014 NFL Draft by the Buffalo Bills marks almost sixty years of the Dunbar star athlete phenomenon. The Johns Hopkins Press Blog has included an excerpt from Theodore W. Pietsch’s Trees of Life: A Visual History of Evolution. 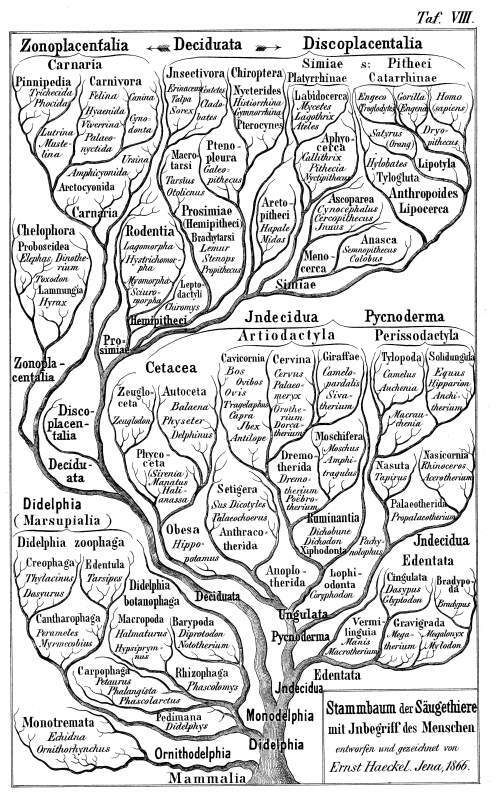 Trees of Life is book about the tree diagrams created to illustrate evolution and the relationship between various organism. We have all seen these visual representations. These trees help convey fairly difficult concepts in a remarkably coherent and understandable way. Pietsch’s book crosses disciplinary lines between science, history of science, biology and intellectual history. The excerpt is from Pietsch’s preface. Our occasional Friday series on the blog, The Press Reads, features short excerpts from recent JHUP books. We hope to whet your appetite and inspire additions to your reading list. Today’s selection is drawn from the preface ofTrees of Life: A Visual History of Evolution by Theodore W. Pietsch. Trees of Life, embraced by reviewers across many disciplines, is now available in trade paperback. Ernst Haeckel’s family tree of the mammals, from 1866.